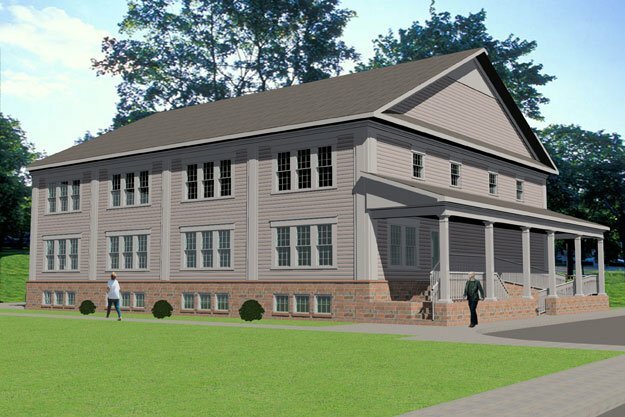 This independent building will provide a fresh start where young women suffering from life-controlling addictions to drugs or alcohol can recover and move on to become valuable members of their community. Many uses are cleverly and efficiently incorporated into this 13,000 s.f. residential environment. Counseling, group interaction, academic instruction, religious activities, recreation and vocational training are among the services offered. Sleeping accommodations for 4-5 staff members and 25 students are located on the third floor, while classrooms, offices, dining facilities and recreational facilities are located on the first two floors.